The last week in February, can you believe it? It just flew by. Soon we'll be talking about sundresses and flip flops. But today we're looking at a great trend for flats- the ankle strap. Check out these picks. 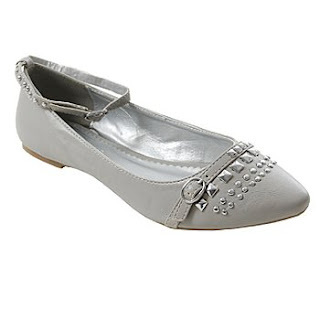 I love these rocker flats! Such sass and easy to match. This saturated purple is so perfect for this flat. I would pair this with a black skirt and tights for work and bf jeans for the weekend. I really like the black and brown contrast. The thicker ankle strap gives the shoe more definition. I really like the pointy toe on this shoe, give a little bit more edge to the sweet flat. I really like the ankle strap flat because its a little more detail to you're average flat. It's not ballet, loafer, or skimmer, it has its own vibe.